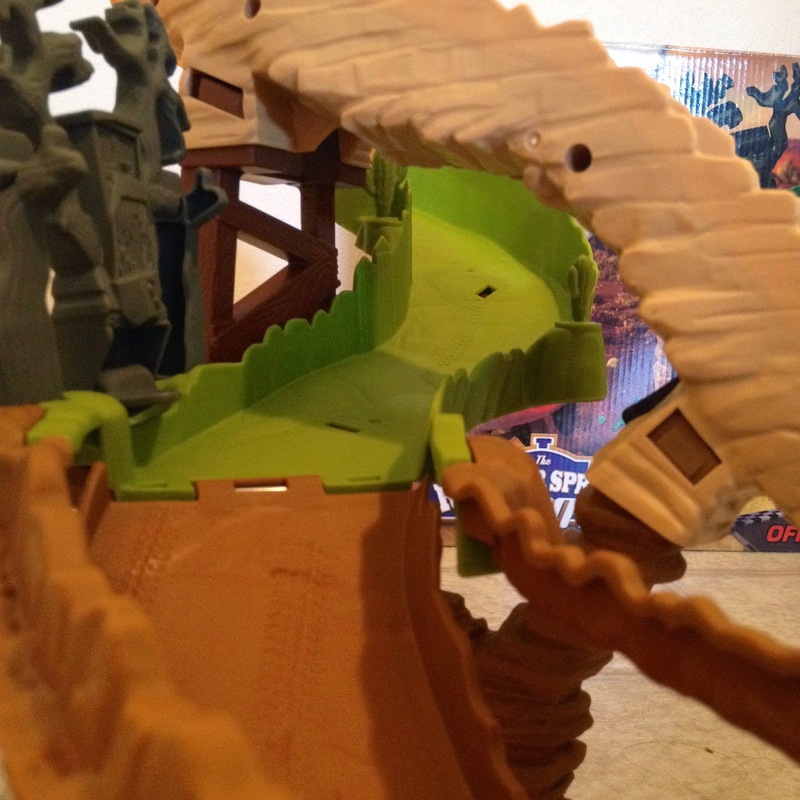 Good news for those of you collectors (like me) who missed this one's initial release. 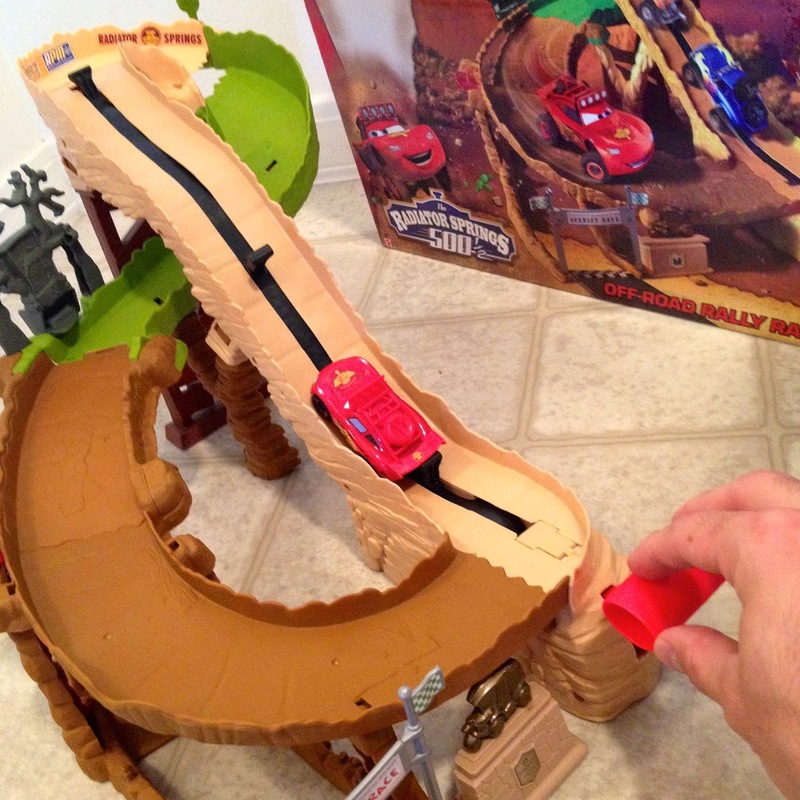 Earlier this year, Mattel re-released the Race Team Mater with Headset! 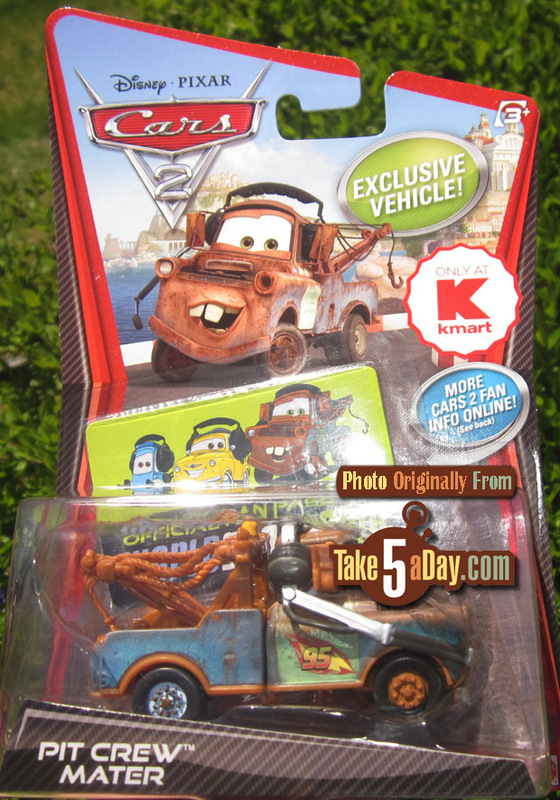 This is a 1:55 scale diecast car that was originally released in 2011 as a Kmart exclusive under the name "Pit Crew Mater." The original release, seen here, also came with a official "World Grand Prix Fan Pass" (which basically meant...absolutely nothing). 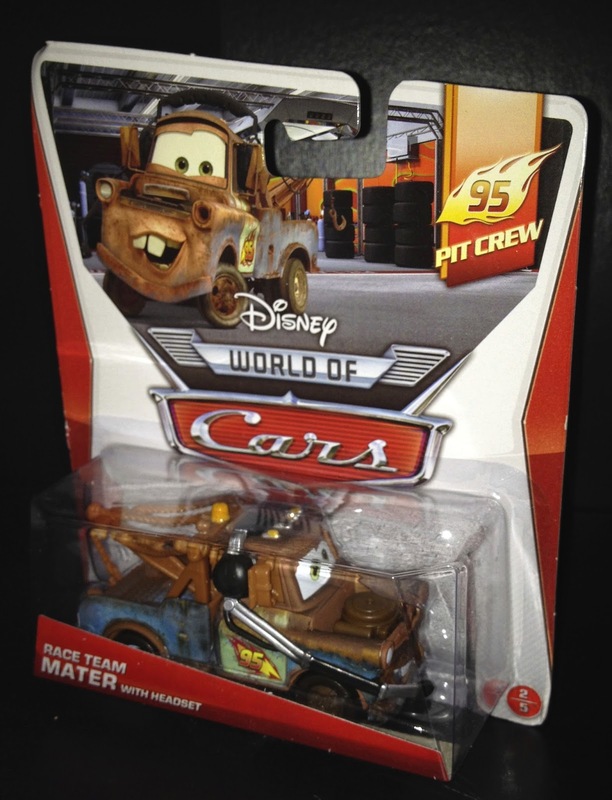 Mater with Headset can still be found at some stores and is number 2/5 of the "95 Pit Crew" 2014 sub-line (which also includes Sarge w/Headset, Fillmore w/Headset and Luigi and Guido w/Headsets). 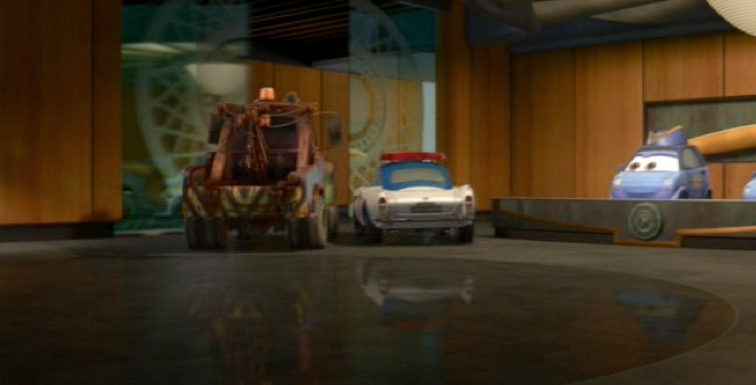 Does anyone else wish a deluxe size pit crew member "Mack with Headset" would be released? 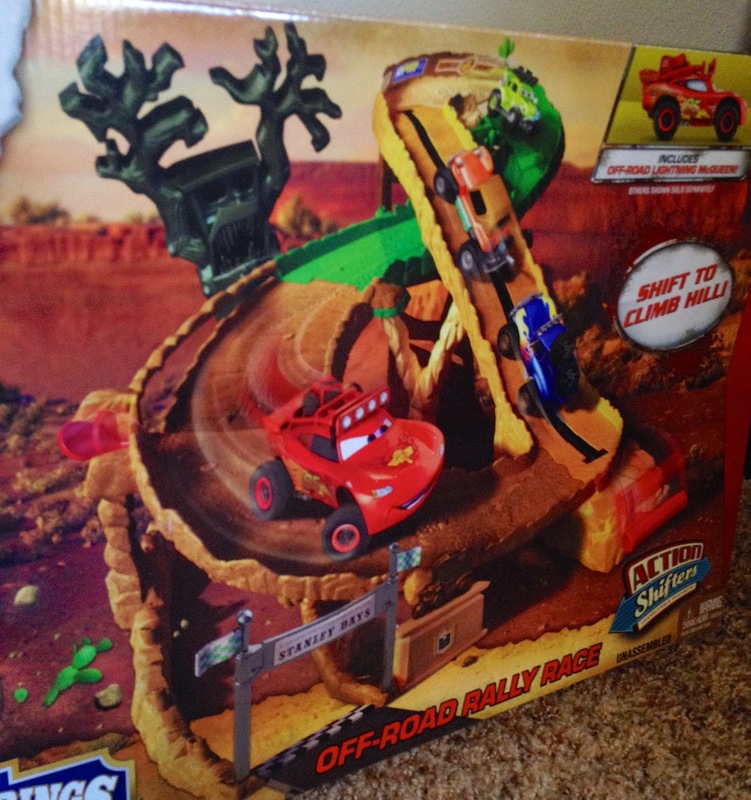 From the original Cars, here we have Duff Wrecks! 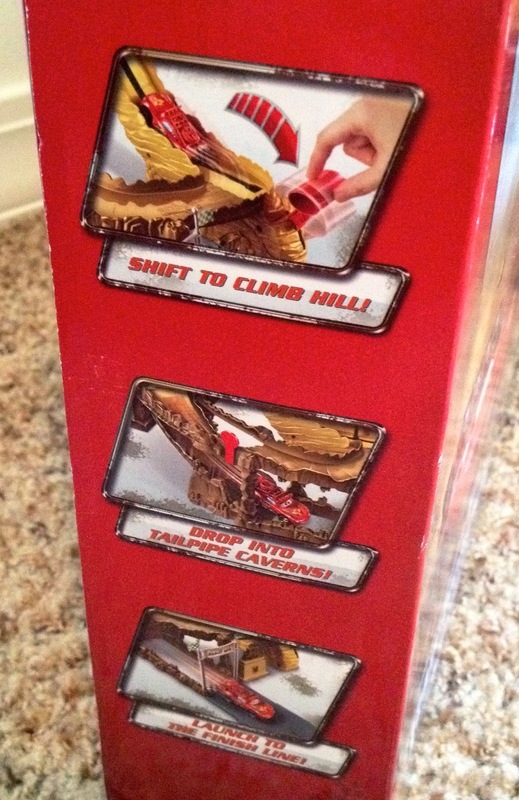 This is a 2010 Mattel 1:55 scale diecast release with lenticular (moving) eyes. There is also a non-lenticular version of this character that was released in the "Final Lap" collection, also released a few years back. 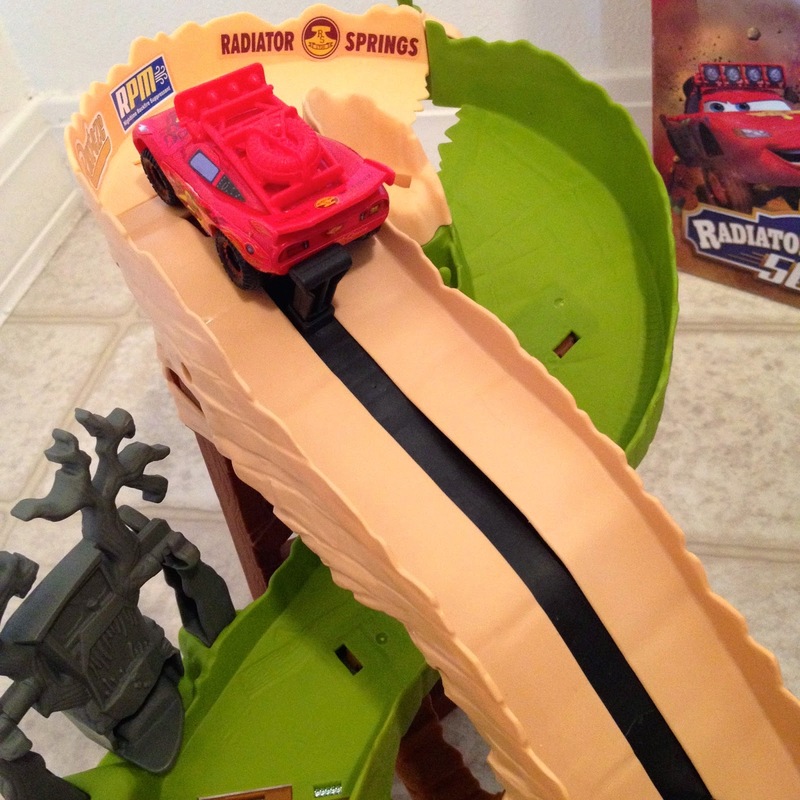 As shown in the screen shot above, Duff can be briefly be seen in the film as the four troublemaker tuners, ultimately responsible for putting Mack to sleep, speed past him on the highway. 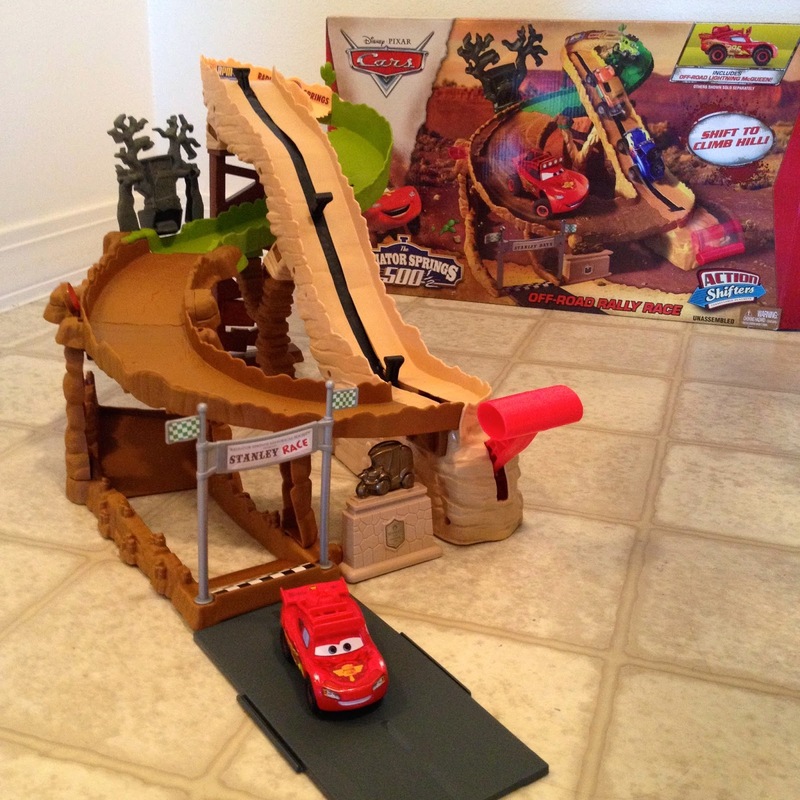 Are you a Pixar Cars and Cars 2 fan? Well then, stay tuned! Much more to come. 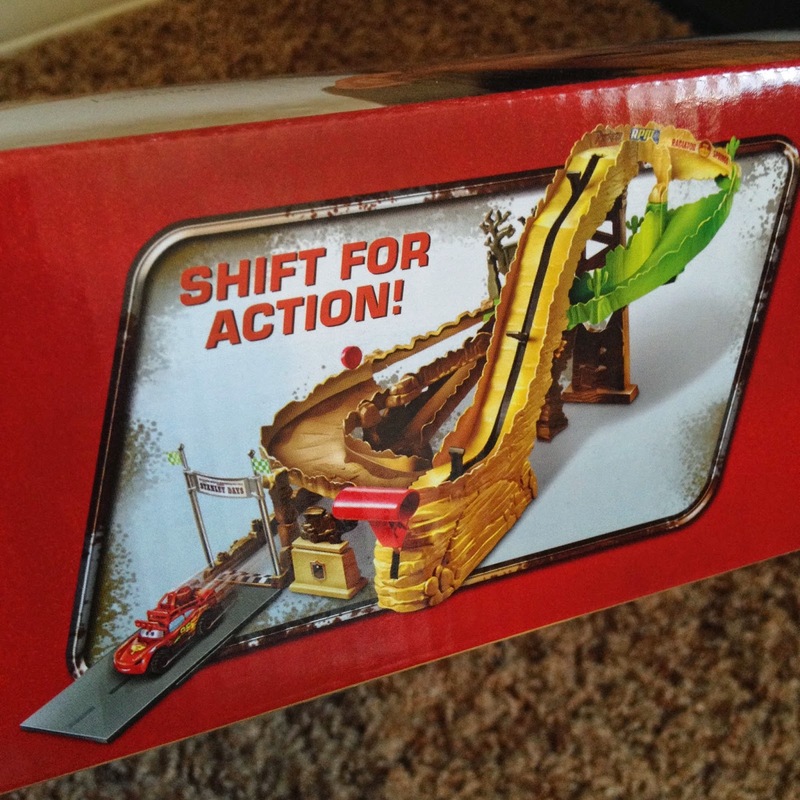 From Cars 2, here we have the Mattel 1:55 scale diecast release of Ruka! Who's Ruka you say? Good question. As shown in the screen shot above, Ruka can be seen in the Tokyo airport as an airpot costumer service/ticket agent. However, there are four or five of these airline employees behind desks throughout the airport sequence that look exactly the same, so it's hard to know exactly which one is Ruka! 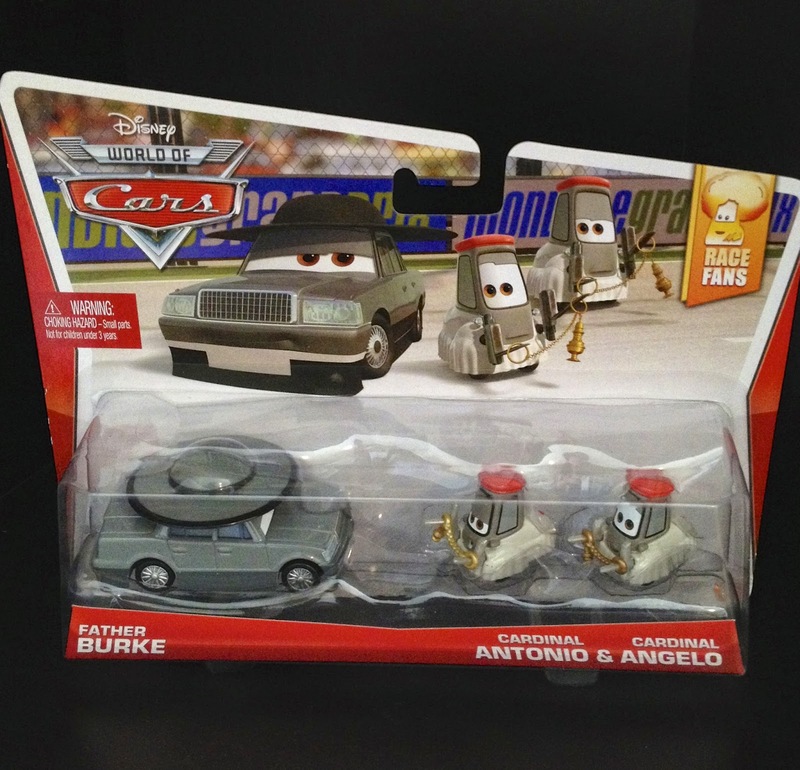 She was released last year as a "Chase" edition car. That means she had a much more limited release compared to other characters. Ruka was part of the 2013 "Airport Adventure" sub-line (number 7/7). This is a fun release that I'm glad to have in my collection. 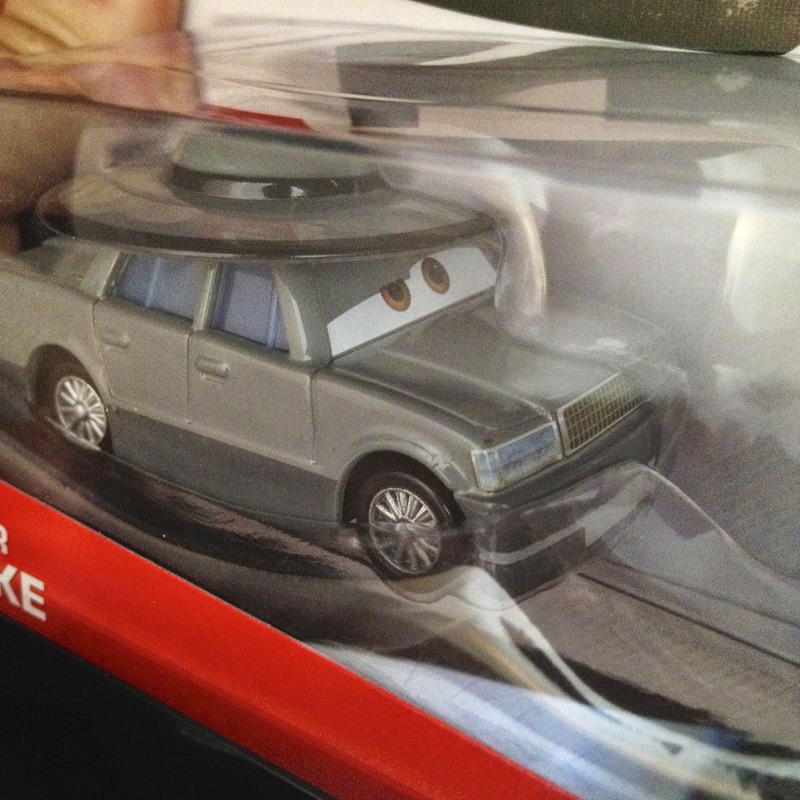 She definitely has a unique look that is much different than any other characters released thus far in Mattel's line of Cars. 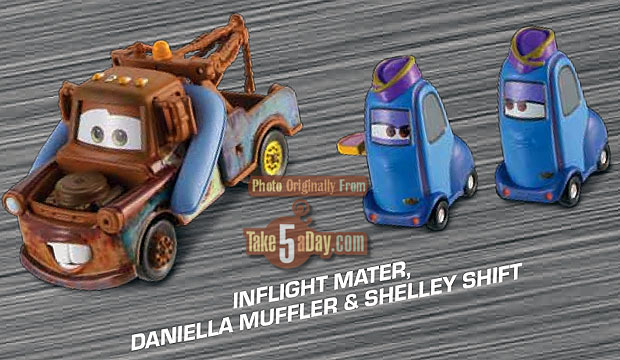 Now, if only we could get the cancelled "Inflight Mater" and flight attendant 3-pack (seen here)! I have hopes those characters will still be released in the near future. 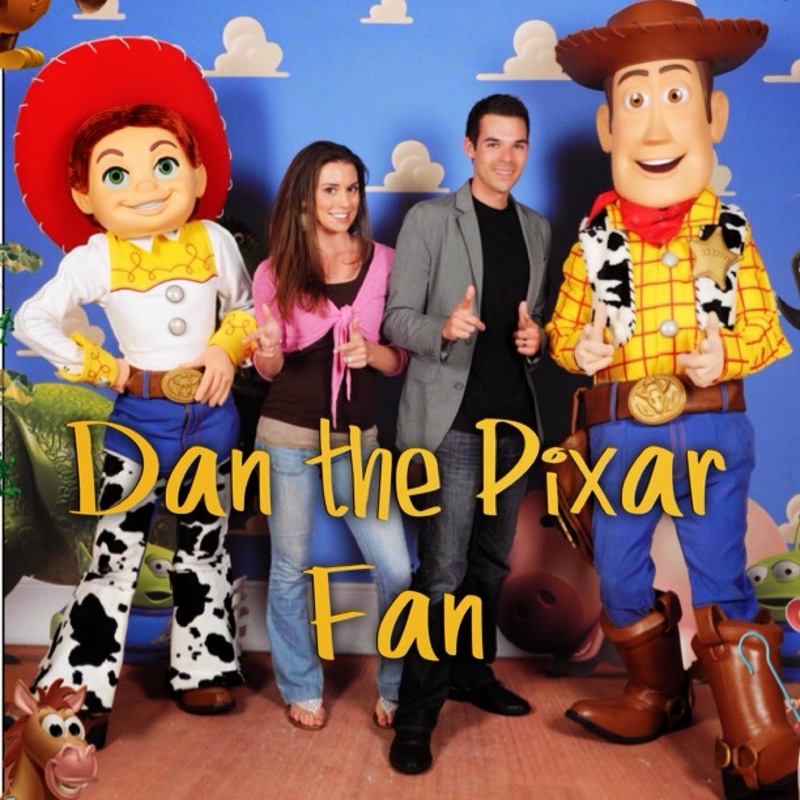 I'm excited to announce that my blog will now be found under the web address www.DanthePixarFan.com! Having a custom domain name for this site is something I've wanted for quite a while now and I couldn't have done it without the push and help from my good friend T.J. from the phenomenal PixarPost.com. A million thanks to him and to all of my dedicated readers who make this all possible. I appreciate the continued and growing support. Spread the word! NOTE: Using the original web address, www.PixarFanDan.blogspot.com, will not affect access to this site in any way. 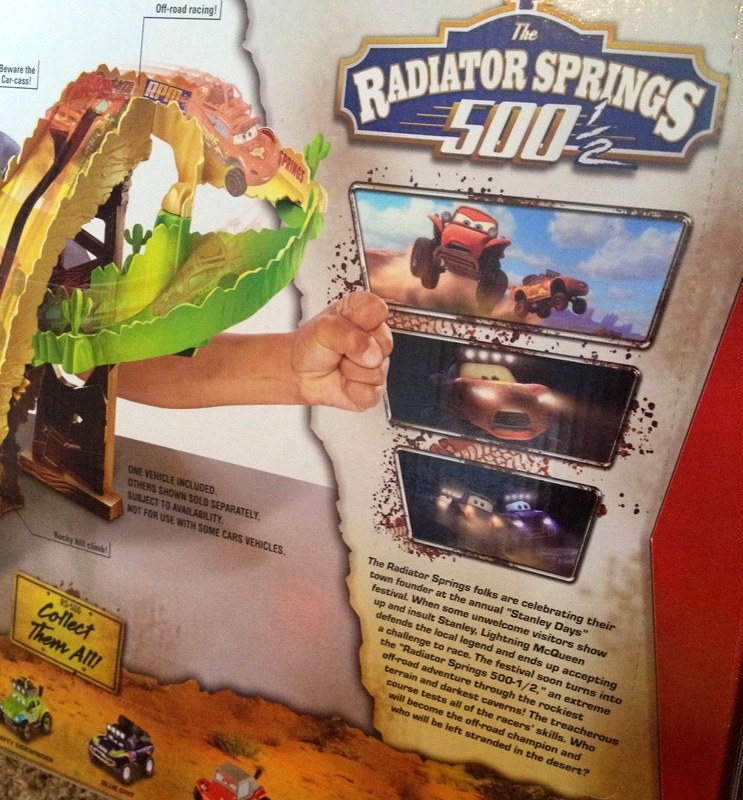 Here we have Mattel's latest release (or technically re-release) of Fillmore, this time with his pit crew headset as seen in Cars 2! 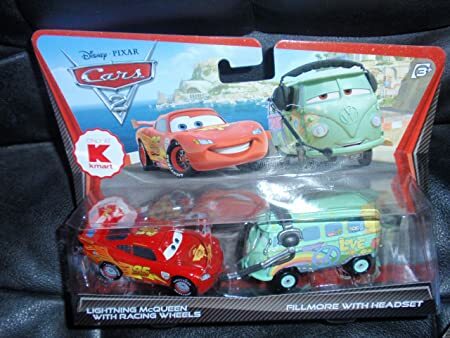 He was released previously in a Kmart exclusive pit crew 2-pack with Lightning Mcqueen a couple years back (seen here), but this is the first this Fillmore with headset has gotten a single pack release. 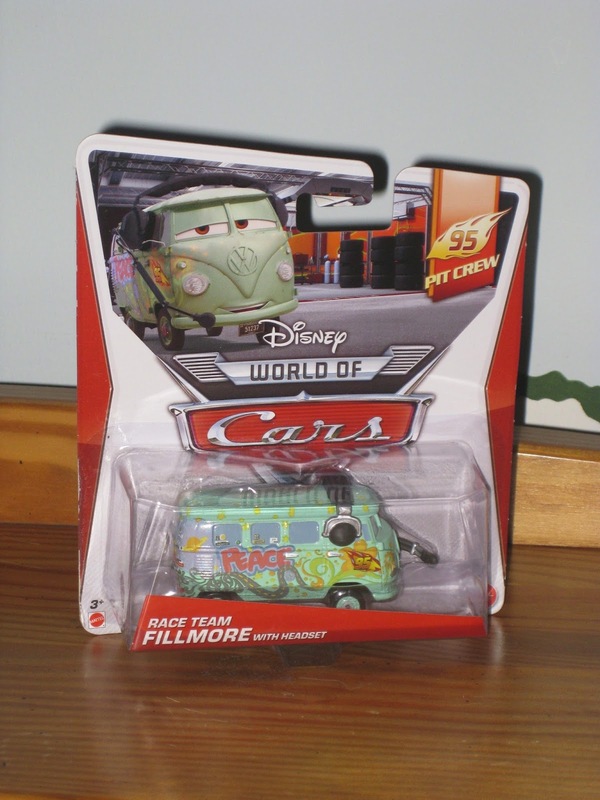 Fillmore here is a 1:55 scale diecast metal car (with plastic headset) and is part of the 2014 "95 Pit Crew" sub-line. Have any comments? Leave one by clicking on the post's title above and scroll down to the bottom. Then, if you haven't already sign up for "Disqus" and you're good to go! Thanks so much for dropping by and be sure to check back daily as more cars will be added right here soon. Did you ask for more cars? 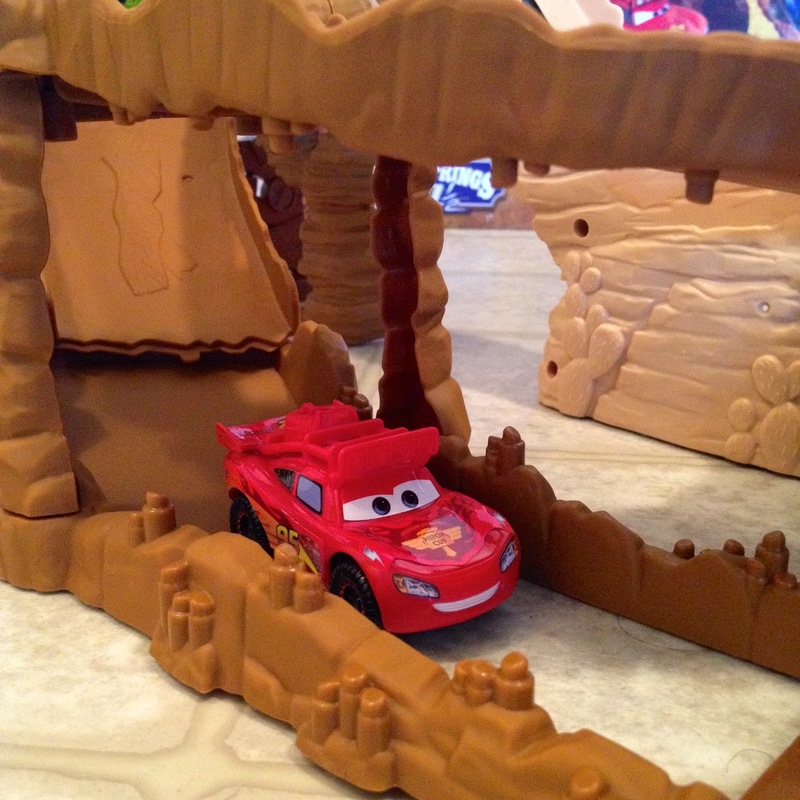 Well, here you go...More cars! 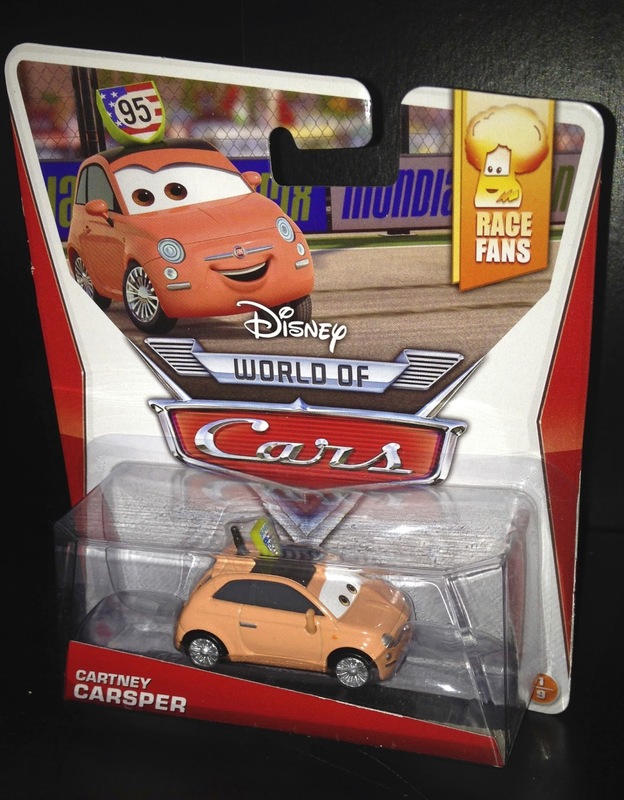 This is another brand new 1:55 scale Cars 2 diecast release from Mattel, Cartney Carsper! She is part of the "Race Fans" sub-line (number 1/9). There seems to be an unintentional theme here with the last four cars I've posted. They've all been from the Porto Corse, Italy race scene with Carney here following that same trend! As shown in the screen shot above, she can been seen in the stands directly behind Father Burke (posted just yesterday). I'd find it interesting to discover just how Mattel decides on which background race fan characters to make in diecast form. 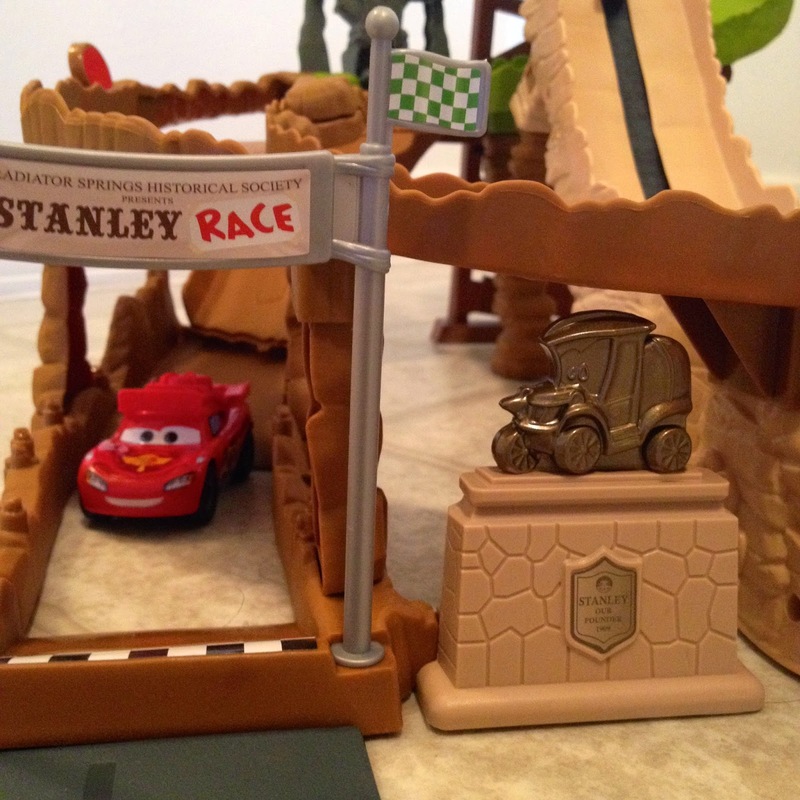 Between the two films, there are literally thousands of cars in the race stands. Nothing against Cartney of course, but how did she make the cut? Great car though! Love the orange. 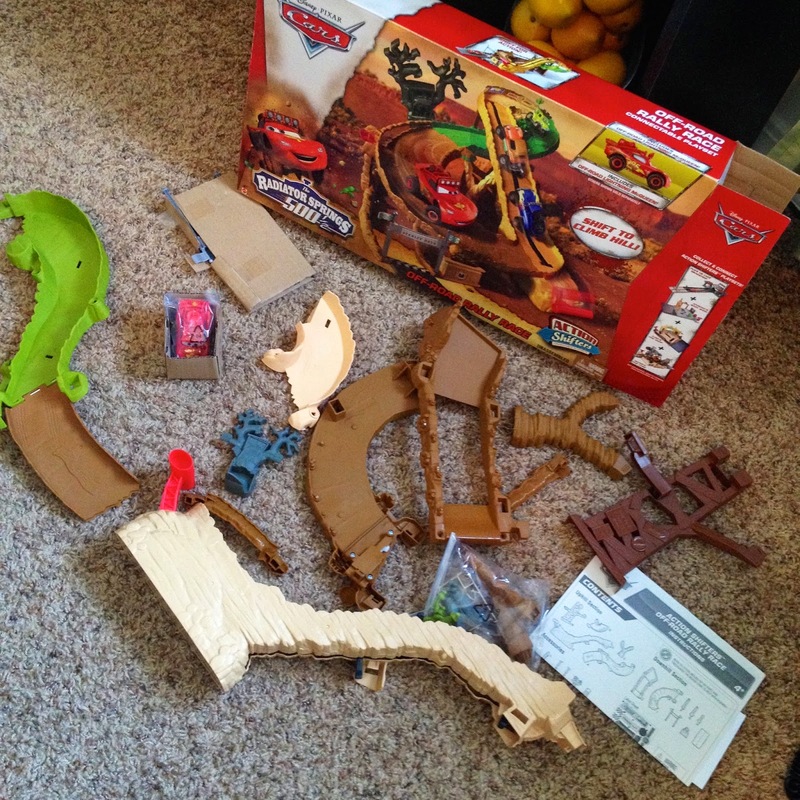 Thanks for stopping by the blog and be sure to check back daily for more! More cars to come. Stay tuned. 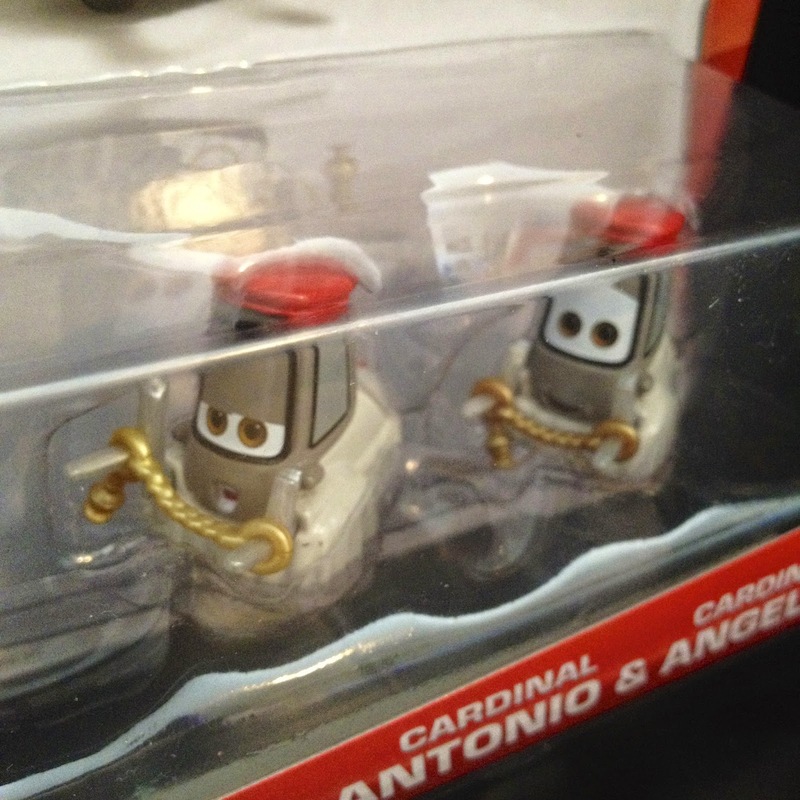 Here is a new Pixar Cars 2 2014 1:55 scale diecast release from Mattel...Father Burke with included Cardinal Antonio and Cardinal Angelo pitties! 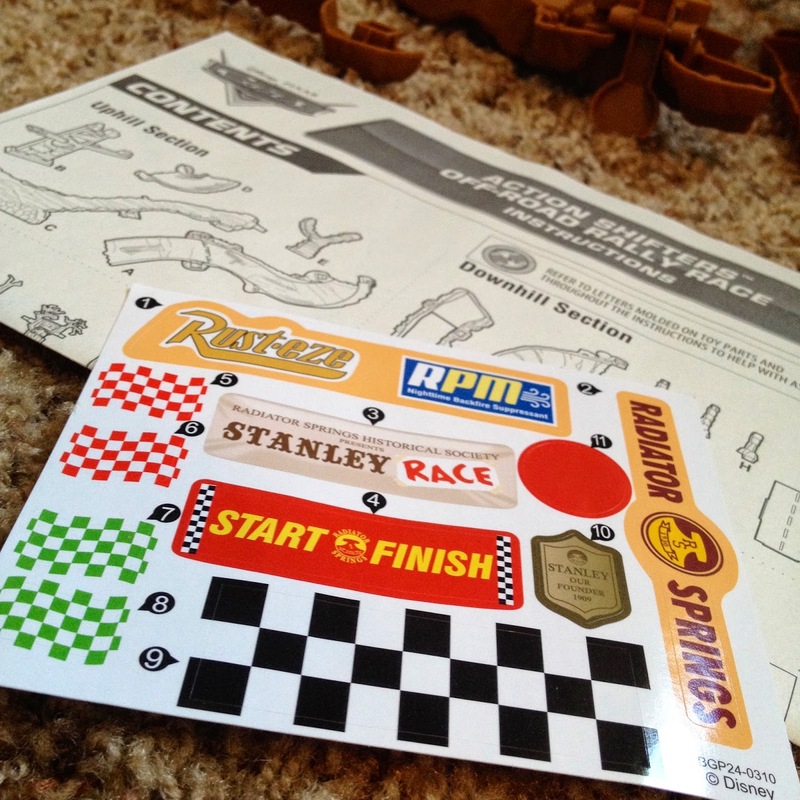 This set is part of the "Race Fans" sub-line. These characters (as seen in the screen shot above) can be seen in the film right at the beginning of the Porto Corsa, Italy race during the World Grand Prix (directly next to the Pope and Popemobile). Since there are two "Father" characters next to each other in the screen shot that look exactly the same, I'm not exactly sure which one is Father Burke. The one on the left or right? The same goes for the Cardinal pitties...there are three in the scene, yet only two are included here in this set. Which one is which? If any of you super sleuths have idea, definitely let me know! These are some really fun designs that I'm glad made it into diecast form. 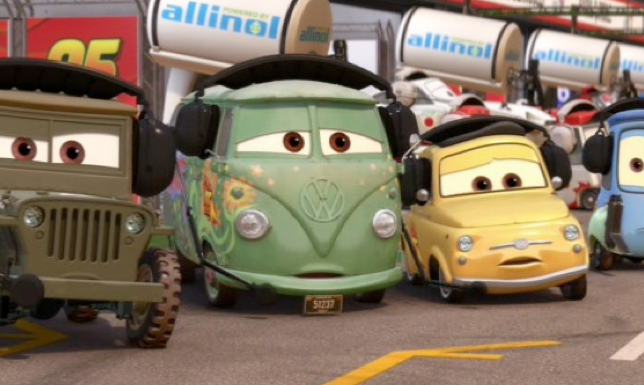 It's hilarious to me, the idea of making cars characters based on iconic religious titles/people. These are available in stores now and can be found at Walmart, Target, Toys R Us, etc.. however, I wasn't able to find them myself in my area. 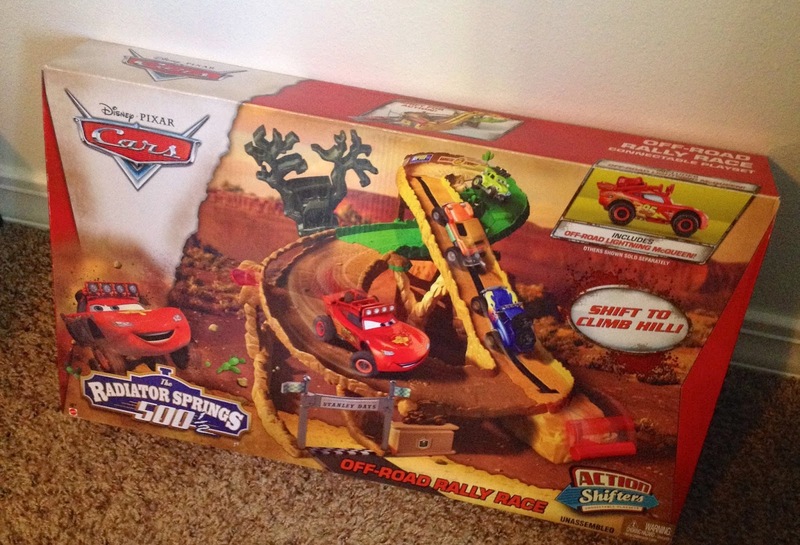 Again, I have to give thanks to my good friends T.J. and Julie from PixarPost.com for finding this great set and hooking me up with it! They're fantastic friends, always knowing which cars I'm still looking for. 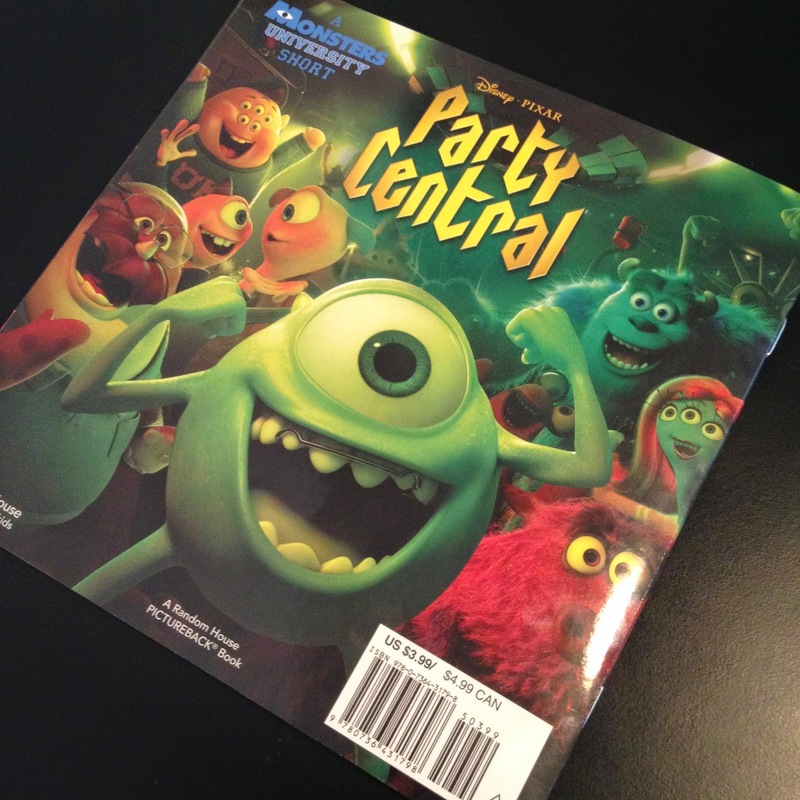 Just this past Tuesday, two brand new "children's" books based on Pixar shorts were released...one of them is based on last year's Toy Story of Terror (see my review here) and one based on this year's theatrical short film Party Central: A Monsters University Short! As you may know if you've followed my blog, I always jump at any chance to get Pixar merch based on a short film, and this was no exception! If you're a fan of this short or just love Monsters University, you'll probably be excited to pick one of these up as well. 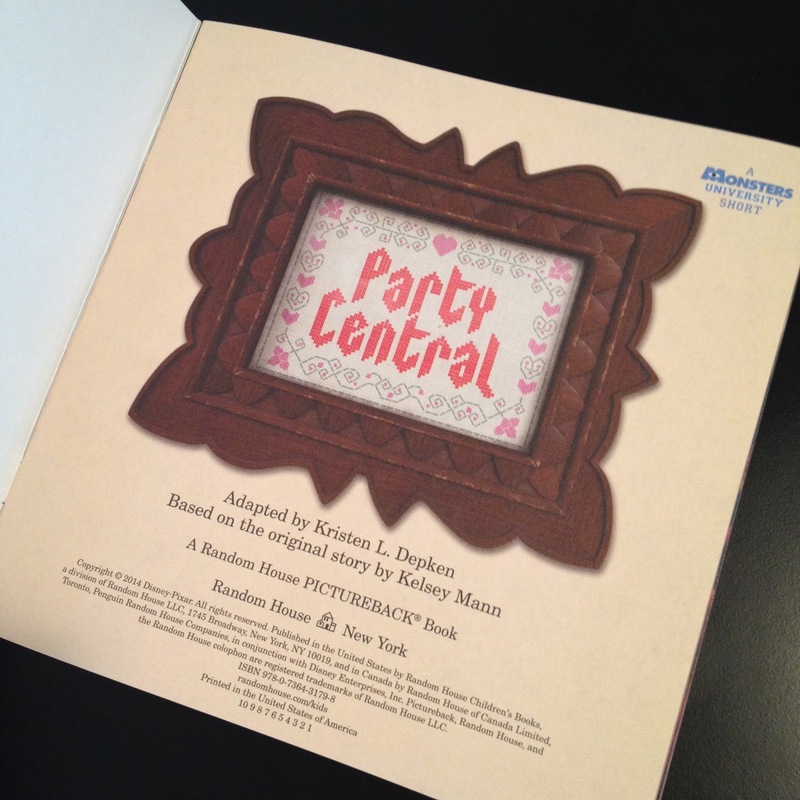 Party Central was Written and Directed by the ever so awesome Kelsey Mann, who was the story supervisor on Monsters University. It was released in theaters earlier this year in front of Muppets: Most Wanted. 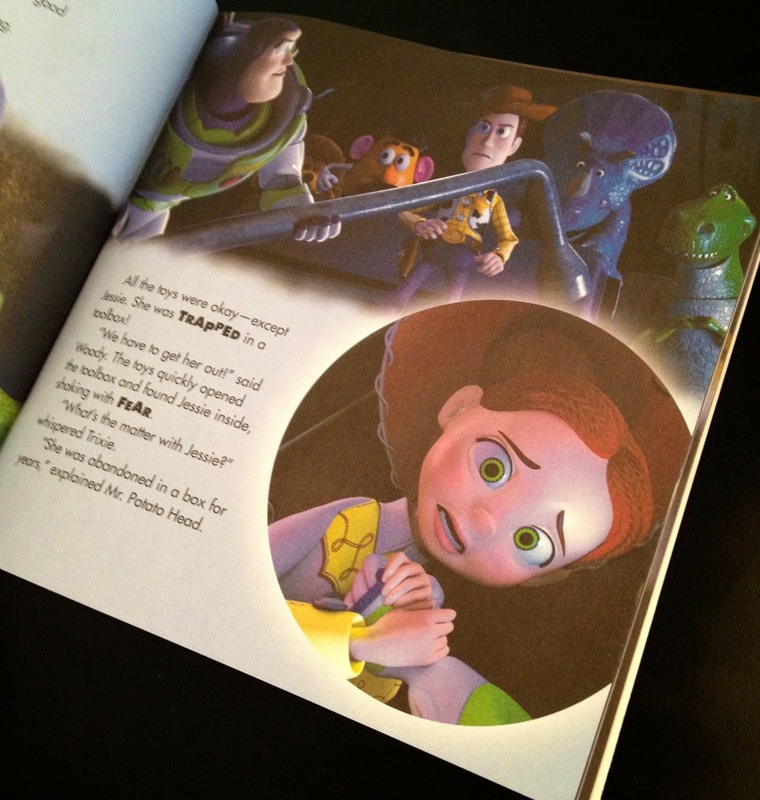 As with the Toy Story of Terror book, this is also a soft cover "pictureback" book published by Random House and is written (or adapted) by Kristen L. Depken. The book is 24 pages long. 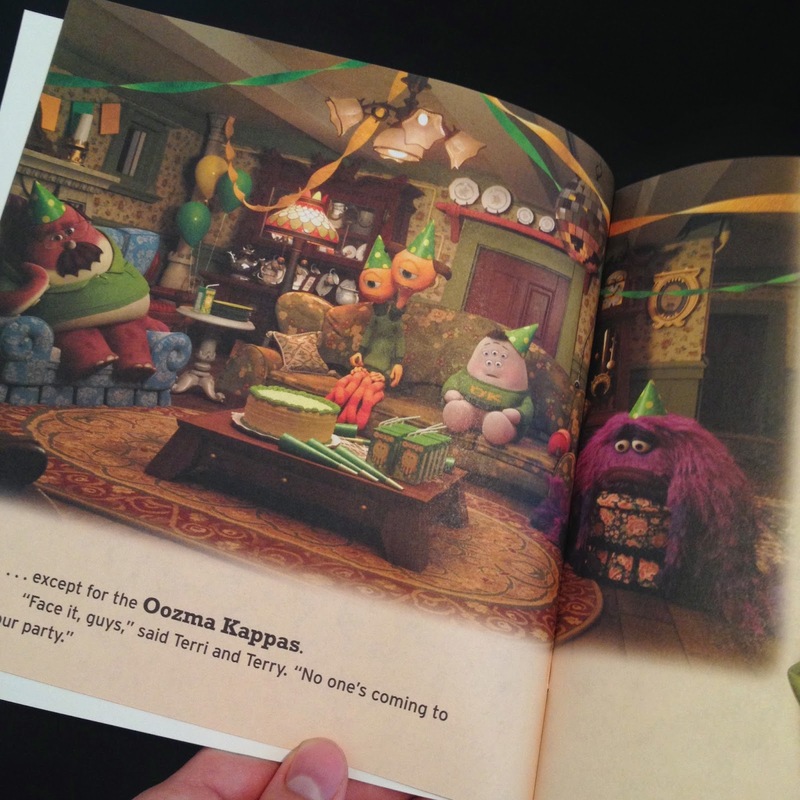 Mike, Sulley, and the rest of the Oozma Kappas from Disney/Pixar Monsters University throw a monster of a party in this storybook based on an all-new animated short. 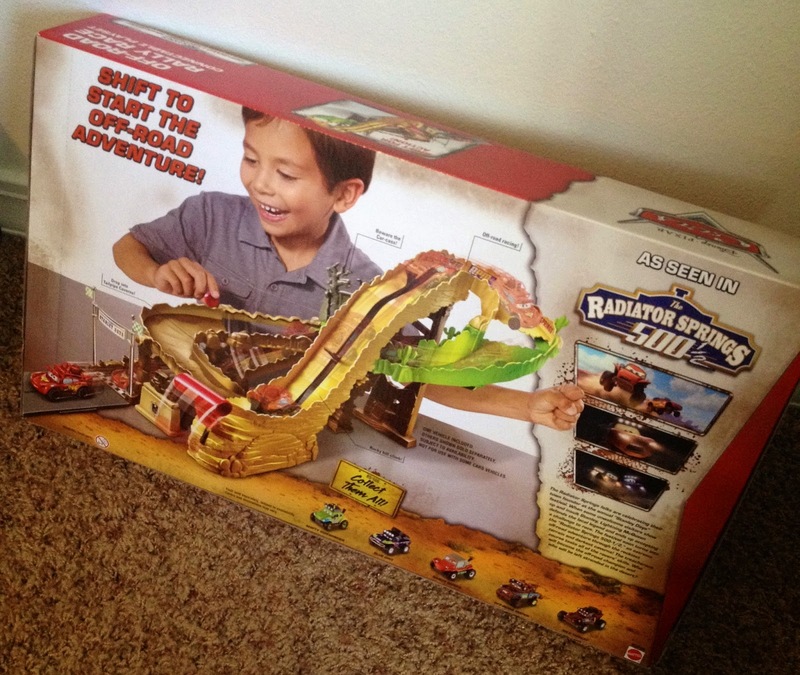 It's perfect for boys and girls ages 3 to 7. You have to love the cross stitch logo that was included in the film as well. 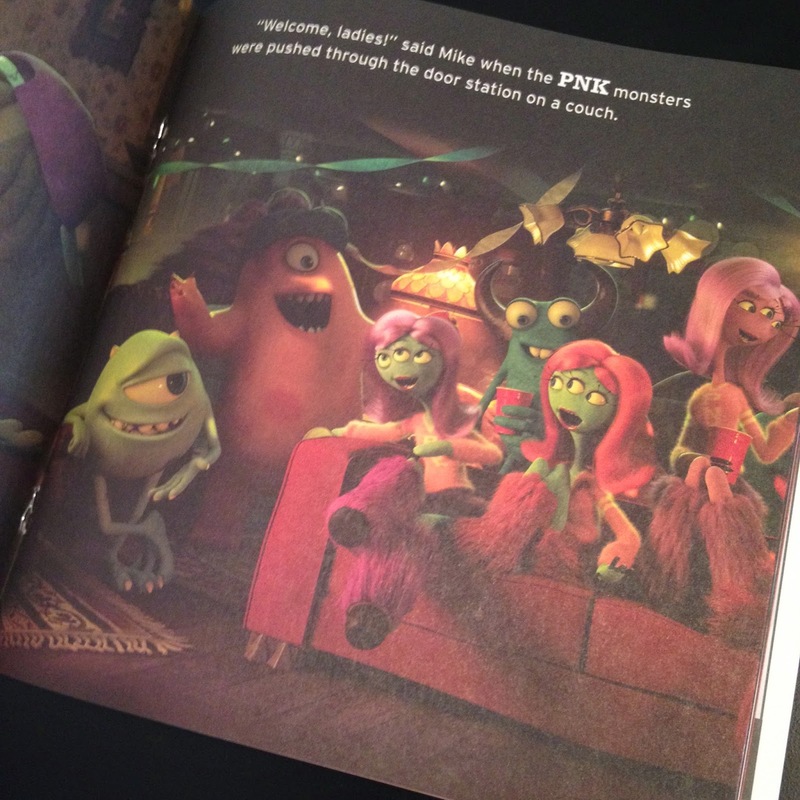 I'm glad it ended up in this book! It's hilarious to me since the film is so "out of control" (for lack of a better term), yet this logo is so tranquil...as if your grandmother (or Squishy's mom) knitted this by the fire one winter evening while listening to Frank Sinatra. 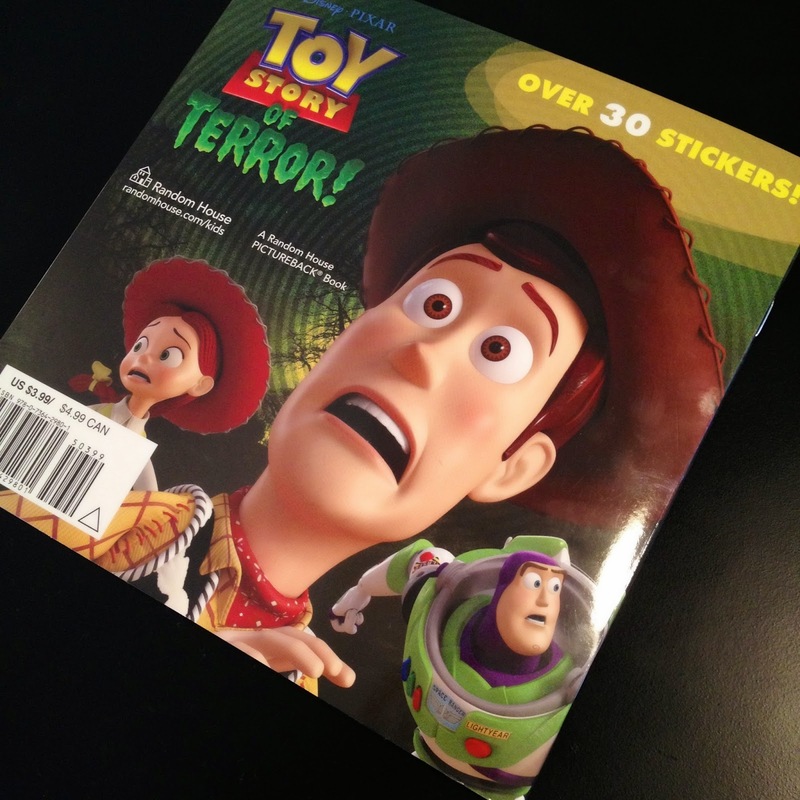 Unlike the Toy Story of Terror book, there unfortunately are no stickers released with this one. It's too bad, that would have been a fun addition. 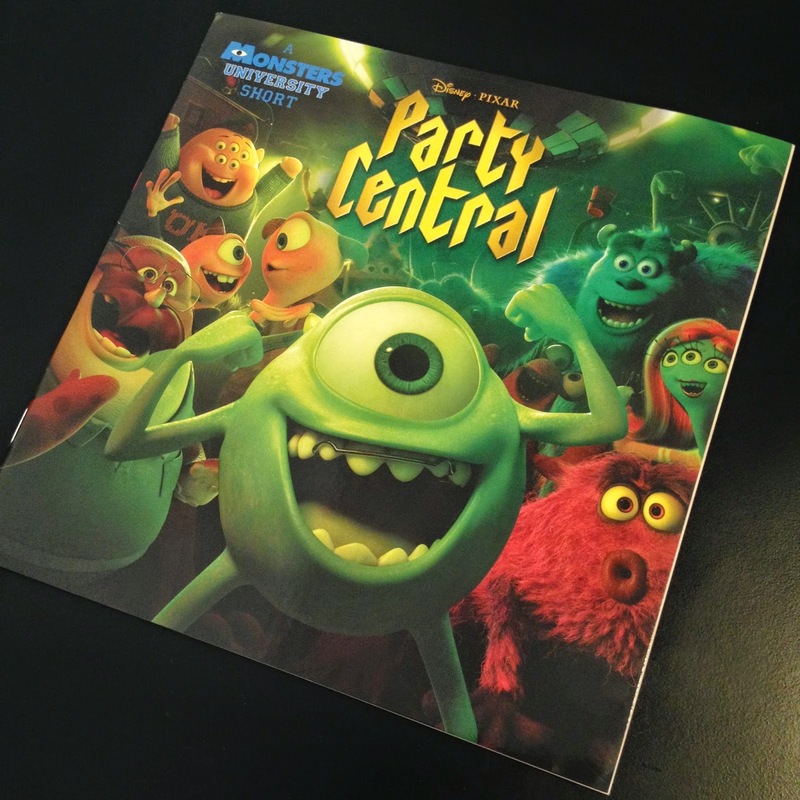 This book is simple yet well written and takes you through the entire story of Party Central, depicting each scene with most (if not all) of the film's original dialog. I've only seen the film once, but this book includes just about everything from what I can remember. 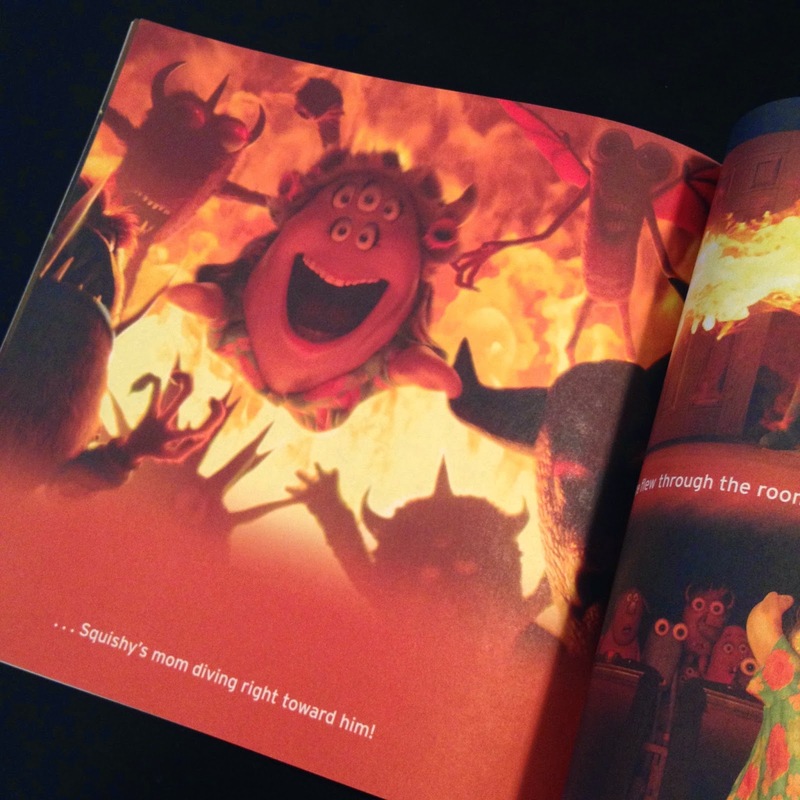 As you can see, rather than being illustrated, this book features screen shots of the film. Although meant for very young kids, this book can also be enjoyed by the kid at heart...like me! Of course, I got this book mostly to be read by our future kids someday. It'll be a fun night time book to read. 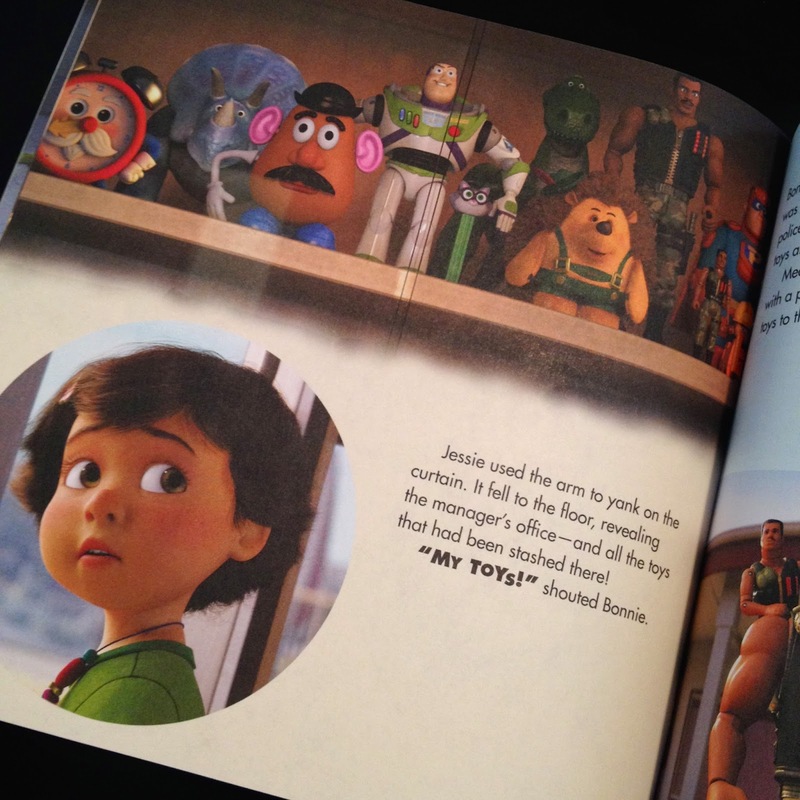 This is a most welcomed addition to my Pixar book collection and my short film collection. It's a great book based on wildly fun short film. I can't recommend it enough! I'm not sure if it's available in stores, but you can always snag this on Amazon. 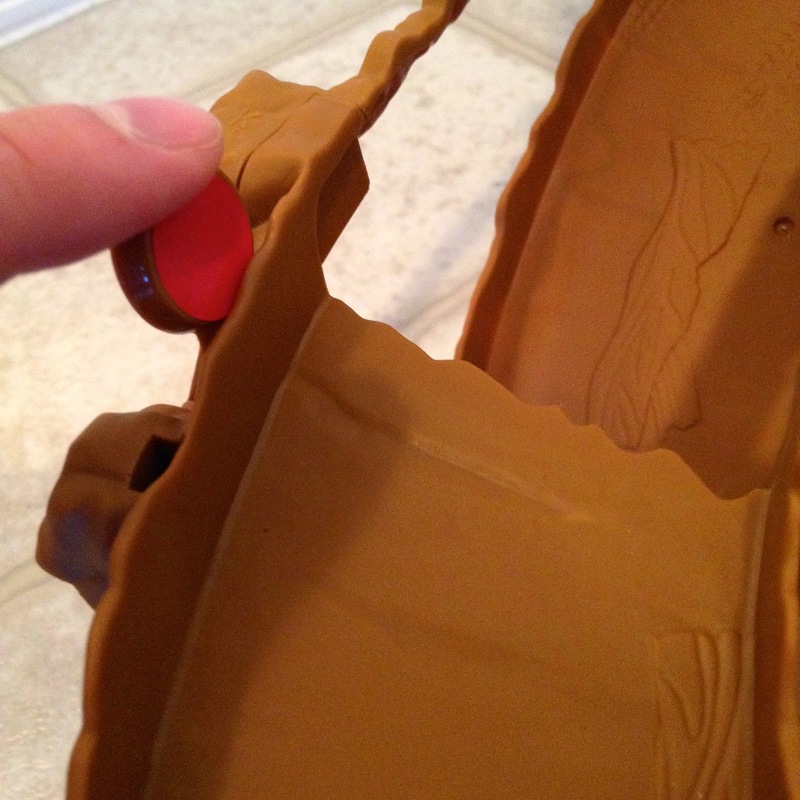 Thanks of stopping by and taking the time to read today's post. 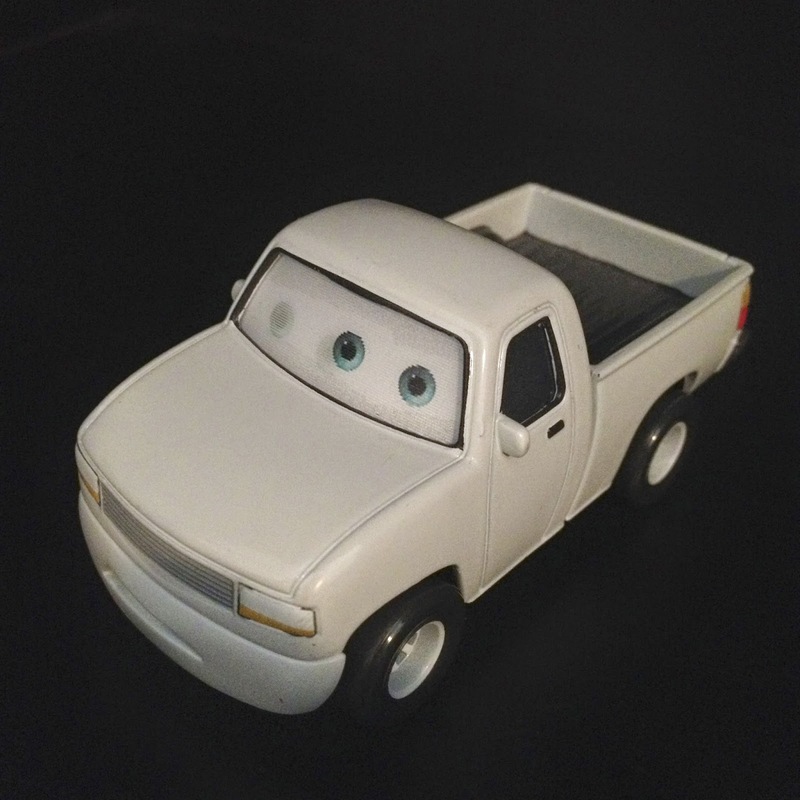 Feel free to stop by daily as many more Pixar items will be added right here soon! Stay tuned for more and please feel free to contact me with any questions, comments or suggestions. I'll be happy to hear from you! 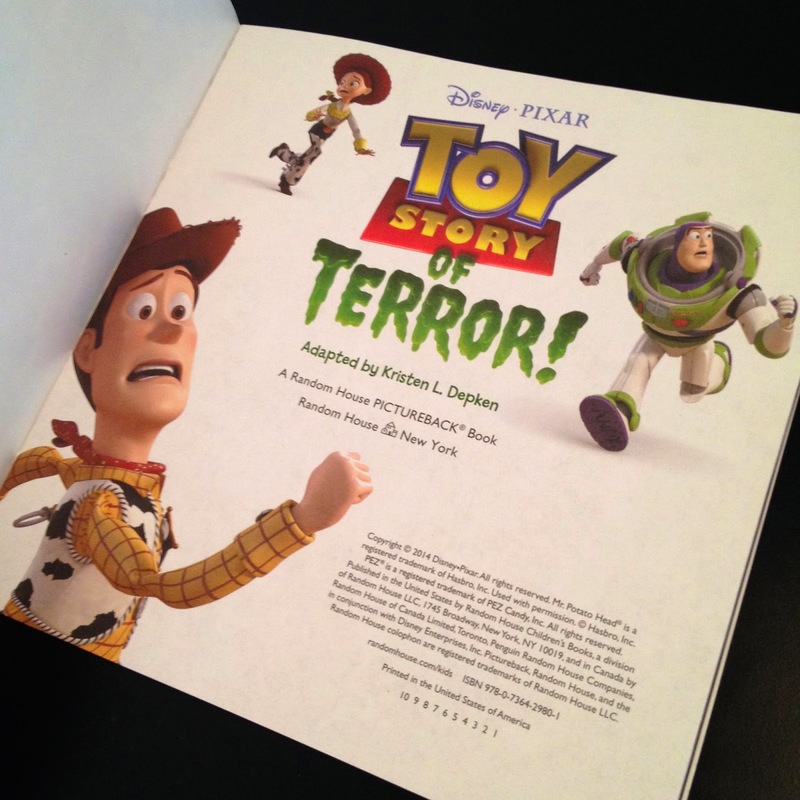 Just yesterday, two brand new "children's" books based on Pixar shorts were released...one of them based on last year's Toy Story of Terror Halloween TV special! As you may know if you've followed my blog, I always jump at any chance to get Pixar merch based on a short film, and this was no exception! If you're a fan of this short, you'll probably be excited to pick one of these up as well. 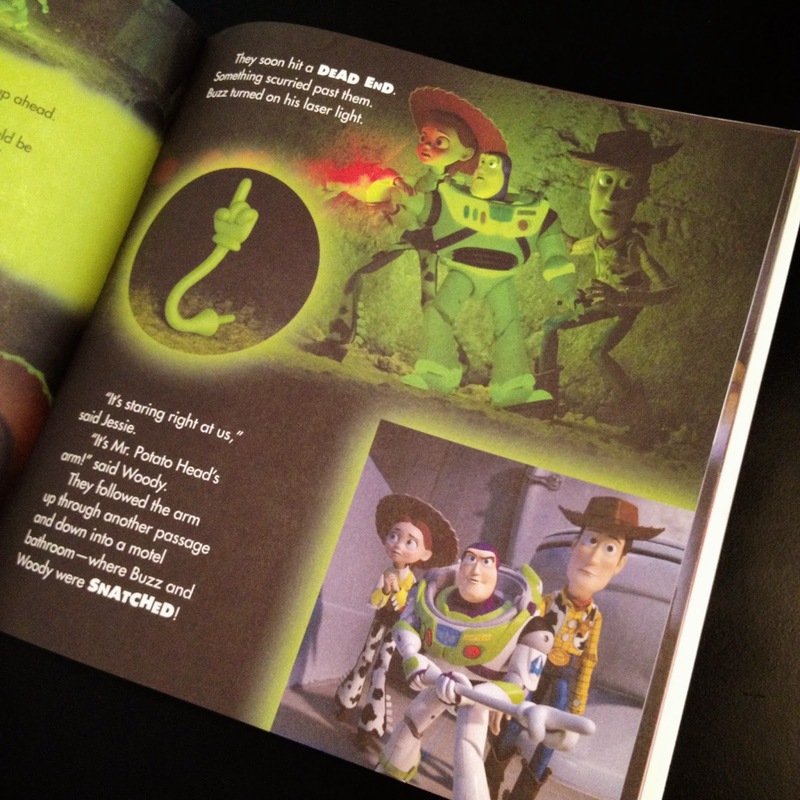 From Disney/Pixar comes a spooky new tale featuring all of your favorite characters from the Toy Story films! What starts out as a fun road trip takes an unexpected turn for the worse when the trip detours to a roadside motel. 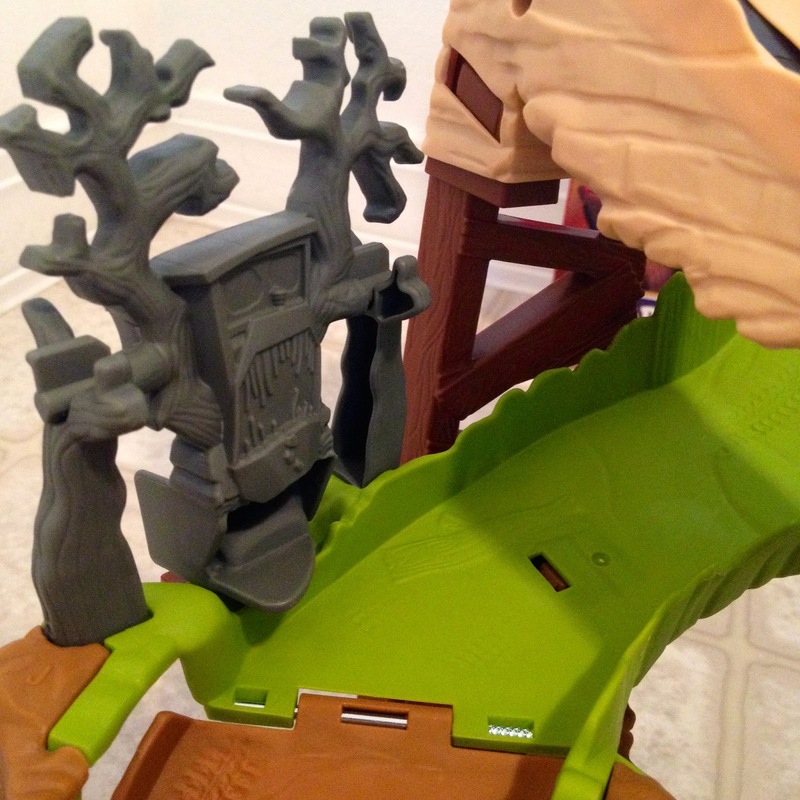 After one of the toys goes missing, the others find themselves caught up in a mysterious sequence of events that must be solved before they all suffer the same fate in this Toy Story of Terror! 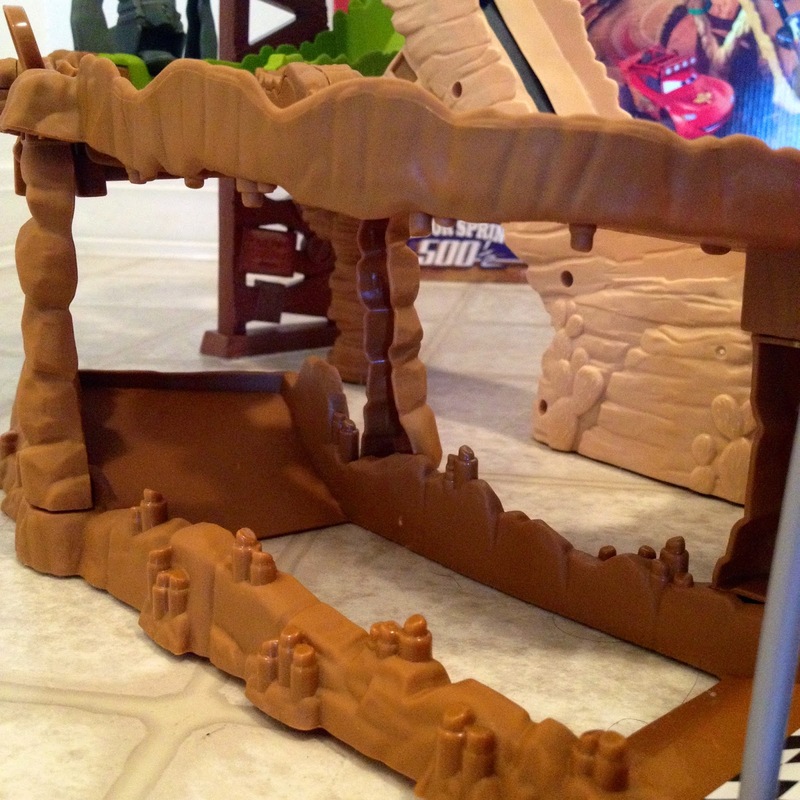 This storybook based on the TV special is perfect for boys and girls ages 3 to 7. This is a soft cover "pictureback" book published by Random House and is written (or adapted) by Kristen L. Depken. 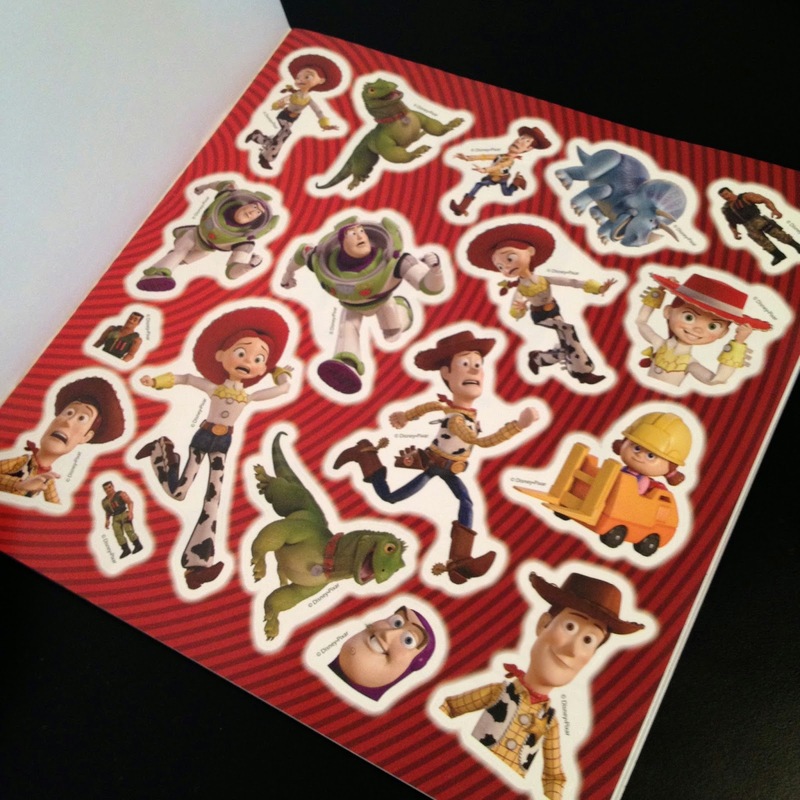 The book is 24 pages long and includes "over 30" (34 to be exact) stickers! There is one sheet of stickers at the beginning of the book and one at the end (seen below). 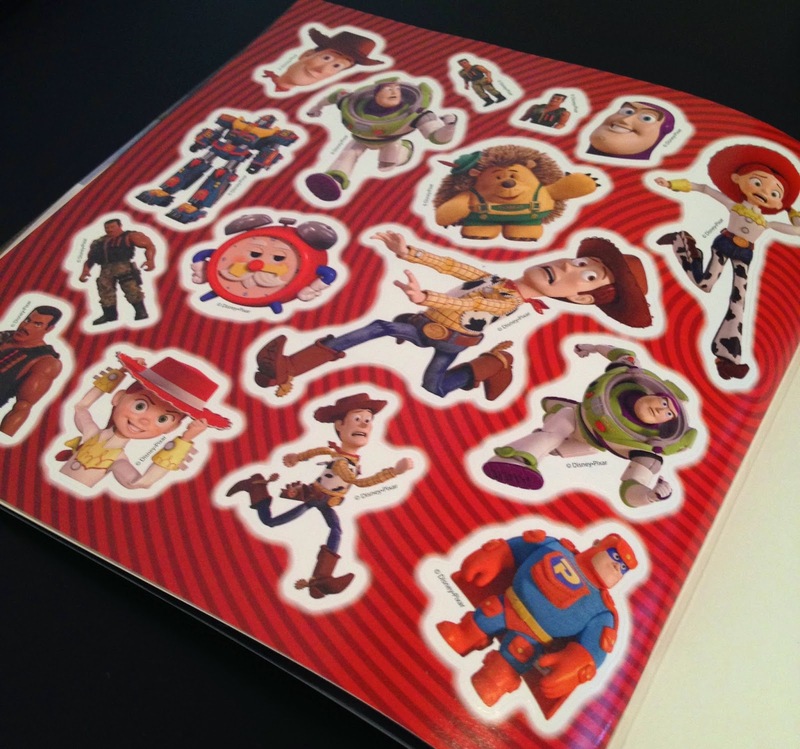 My favorites of the stickers are the ones that are based on characters who appear only in this short, such as: Mr. Jones the iguana, Pocketeer, Transitron, Old Timer, Combat Carl, Combat Carl Jr. and Forklift Sal. 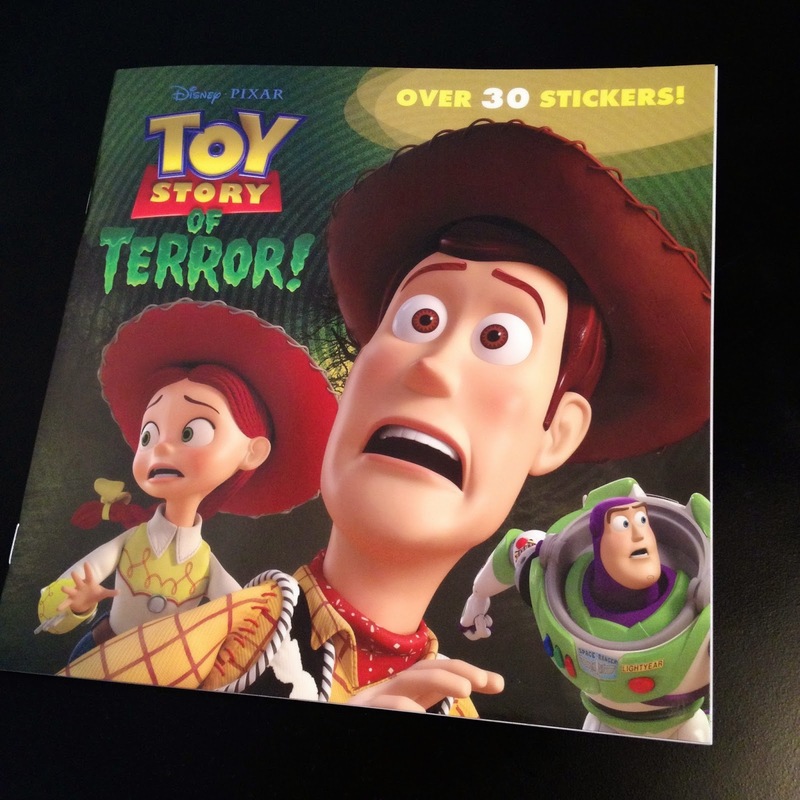 This book is simple yet well written and takes you through the entire story of Toy Story of Terror, depicting each scene with most of the film's original dialog. 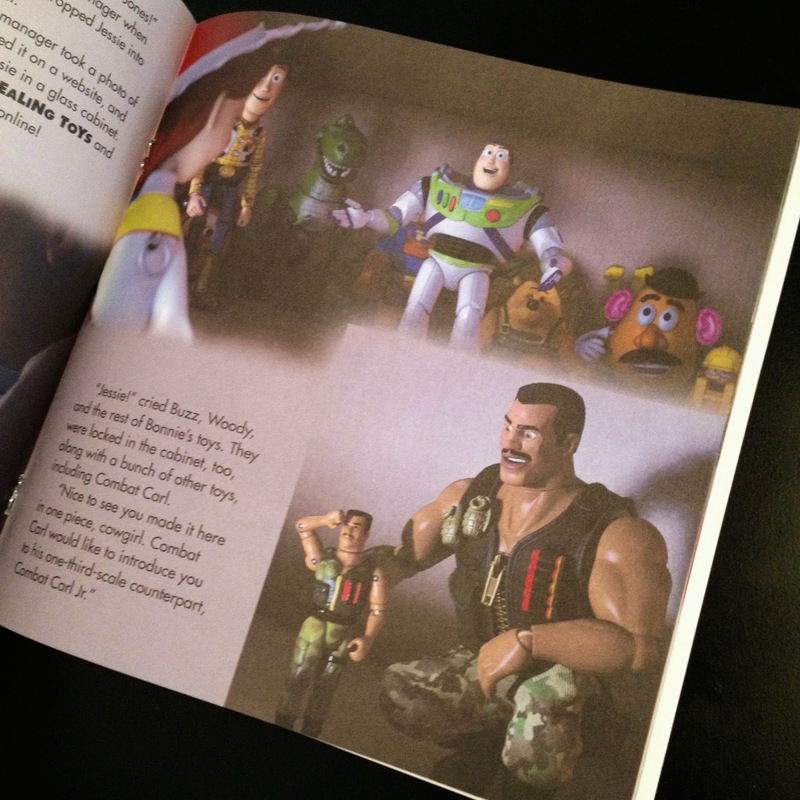 As you can see, rather than being illustrated, this book features screen shots of the film. Although meant for very young kids, this book can also be enjoyed by the kid at heart...like me! Of course, I got this book mostly to be read by our future kids someday. It'll be a fun night time book to read, especially near Halloween. This is a fun addition to my Pixar book collection and my short film collection. It's a great book based on a fantastic short film. I can't recommend it enough! 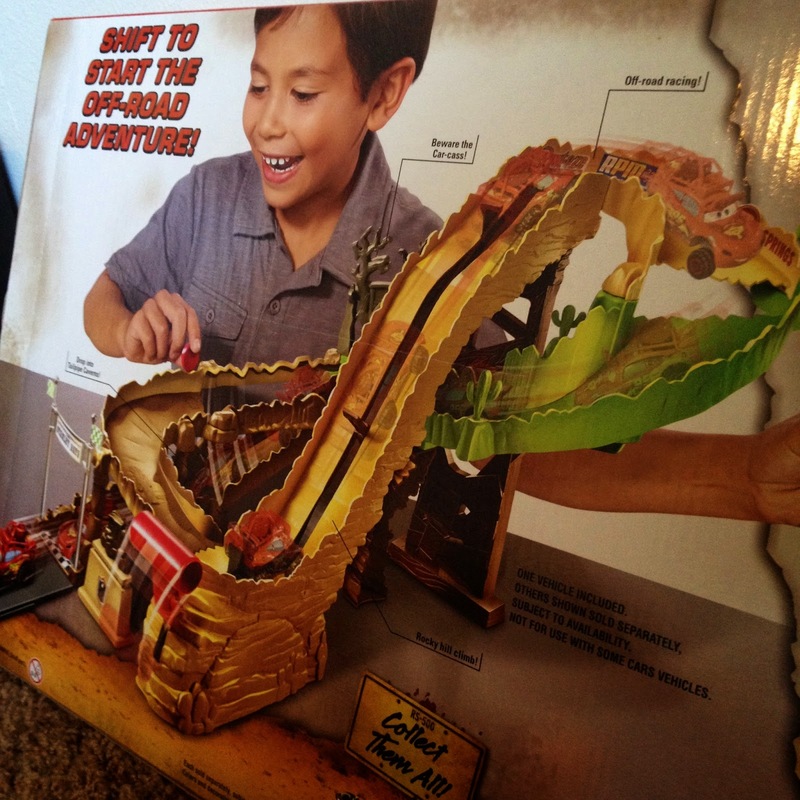 I'm not sure if it's available in stores, but you can always snag this on Amazon. Toy Story of Terror (Written and Directed by the wonderful Angus MacLane) will be released on Blu Ray and DVD on August 19th. You can pre-order it on Amazon as well and be sure to look for a review right here on August 20th. Tomorrow I will be reviewing the Monsters University Short: Party Central storybook, also released yesterday along side this one. Stay tuned! Labels: Books, Short Films, Toy Story 1 2 & 3, Toy Story of Terror!